I have a feeling that my mother-in-law was planning meals well before we arrived in Italy. She really pulled all of the tricks out of her bag and tended to cook for an army at every meal. No complaints on my end, she is, as I have mentioned many times, an incredible cook. She is also a tireless cook, something that I envy. I also love to cook, but I can be a bit lazy, preferring the one-pot meal, and though I have prepared multi-coursed meals for special occasions, I can’t imagine doing it twice a day, every day. 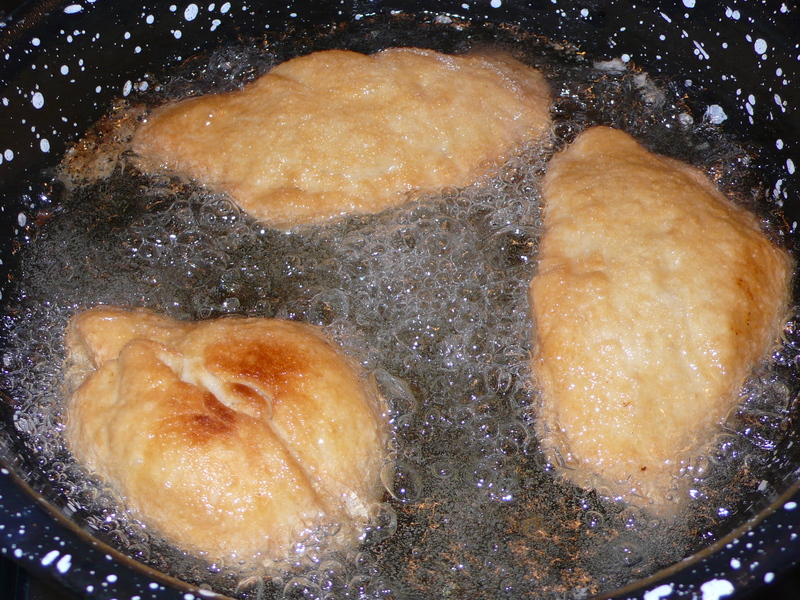 A great example of her tirelessness is her love of frying food, not the most difficult cooking method, but attention needs to be paid, arms are splattered with hot oil and they need to be eaten as soon as they come off of the fryer. She made mini pizze fritte for us, which was a great treat. 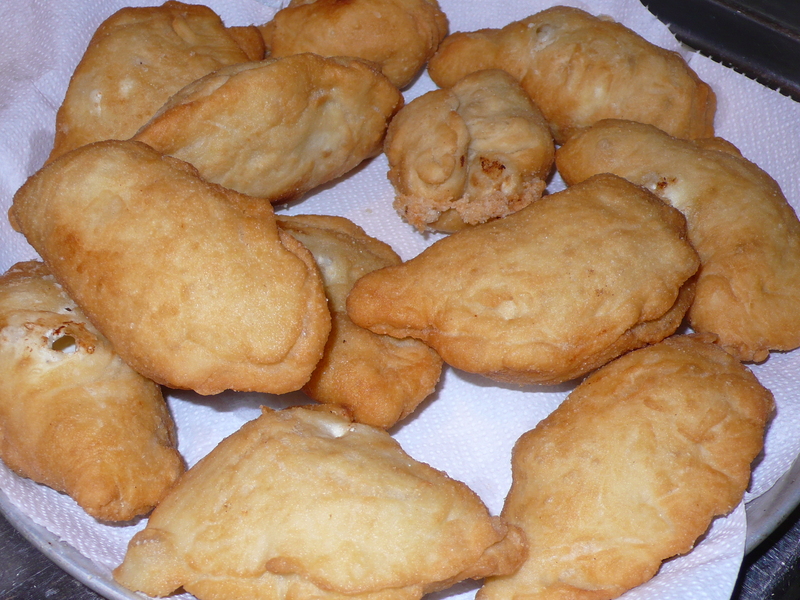 Pizze fritte are fried calzones, call panzerotti in Puglia, something that I ate with great gusto at the age of 16 living in Basilicata. 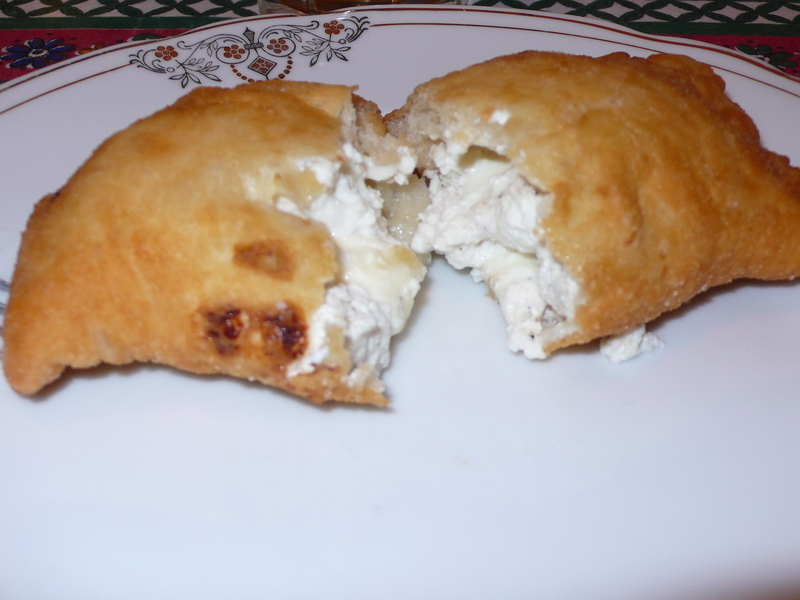 The Neapolitan version is typically made with ricotta, mozzarella and salami or ham, my mother-in-law left out the meat for these. 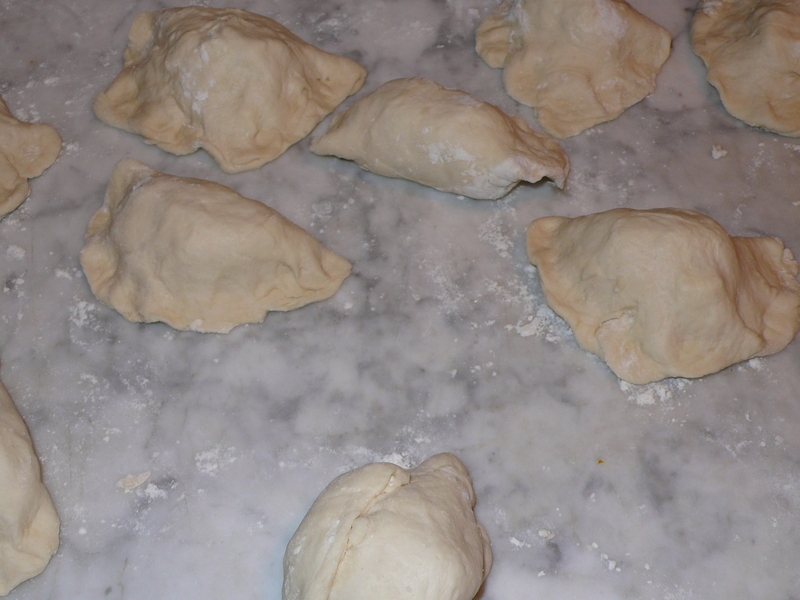 If you are making your own dough make sure that it has doubled in bulk from the dough that you created. Punch down the dough and divide into 8-12 parts, depending on how big you want your pizze fritte to be and how many you want to make. Mix the ricotta with the freshly ground pepper and the chopped salami. Flatten each ball into an round shape, they don’t need to be perfect, but they need to be evenly thick and you want to be able to fold them over onto themselves. 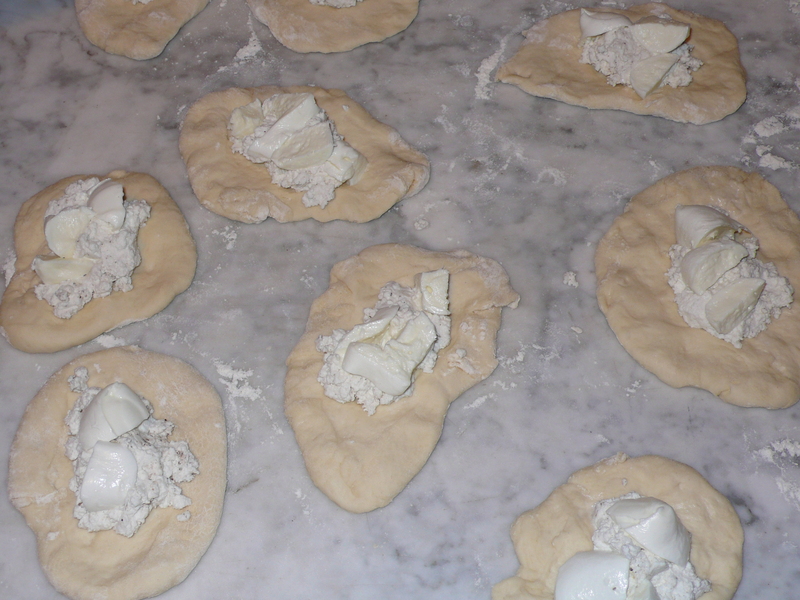 Put a mound of the cheese and salami toward the center of the dough and dot with cubes of mozzarella, drape the other half of the circle over the filling, matching the edges of the halves. 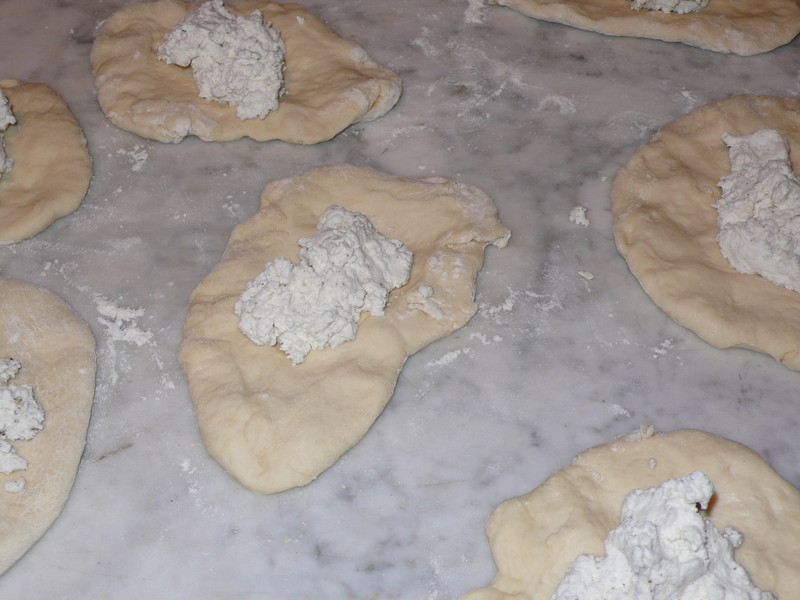 Pinch together the edges of the dough, then roll the edge slightly and pinch again to make a secure seal. Repeat with the other pizzas. 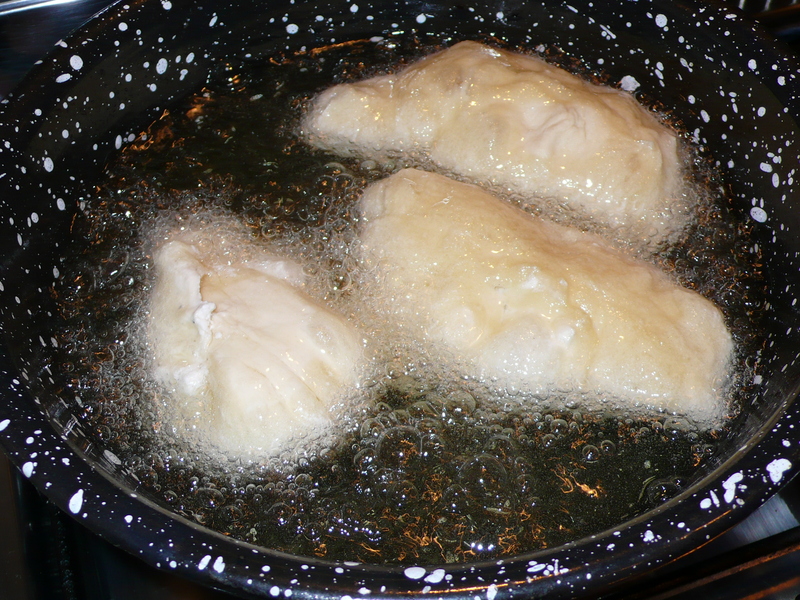 Fill a large skillet with about 1 inch of oil. Place over medium heat and allow to become very hot but not smoking. Add about 4 or 5 pizzas, without crowding too much, and allow to sit until golden brown underneath, 1 to 2 minutes, then turn to brown other sides. Drain on paper towels and serve immediately. In a 2-cup glass measure, with a table fork, dissolve the yeast in the 1 cup of warm water. Stir in ½ cup of flour, cover with a clean dishtowel and let it stand until the mixture foams up to about double – to 2 cups – about 30 minutes. 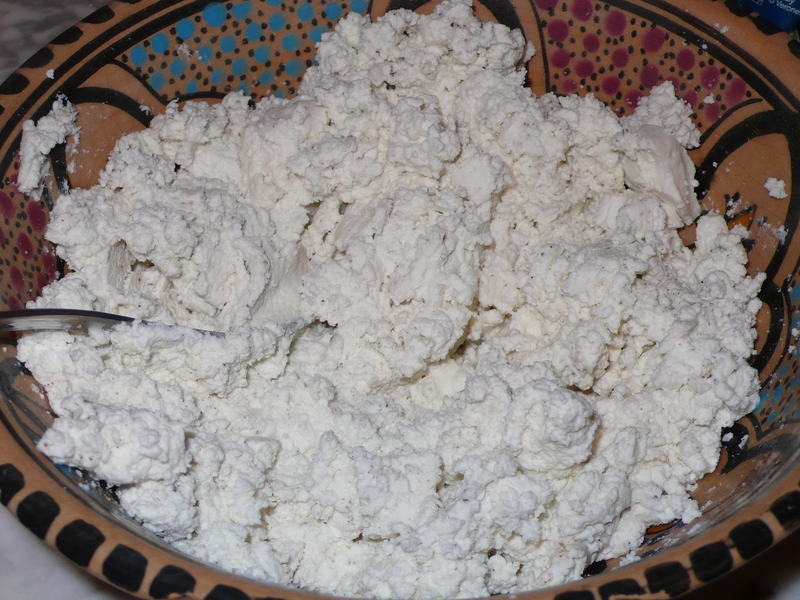 In a large bowl, combine 3½ cups of the flour with the salt. Stir in the yeast mixture and the remaining ½ cup of warm water. Stir until the dough masses together. 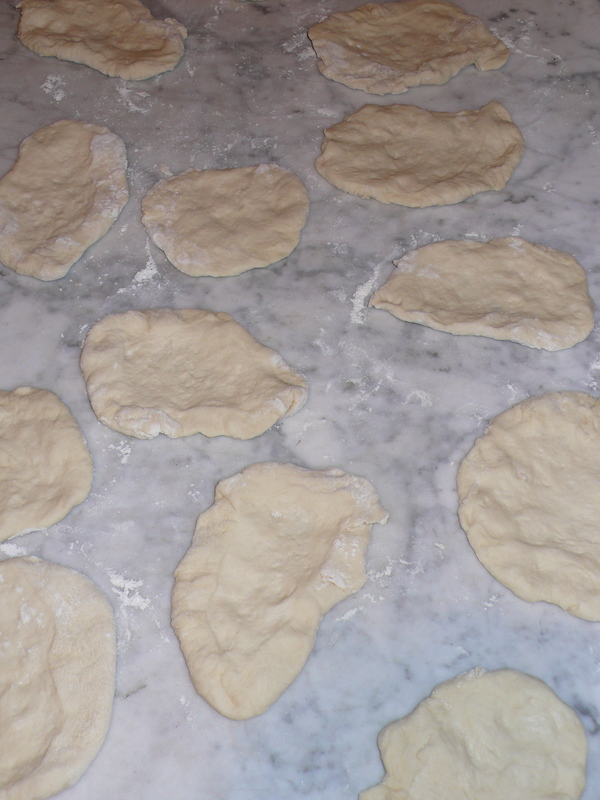 Gather the dough into a ball and turn it out onto a lightly floured work surface. Knead, folding and turning the dough onto itself, then pushing it away from you with the heel of your hand, about 10 to 12 minutes, adding, little by little, just enough flour to keep the dough from sticking. Be careful not to add too much flour or too much at one time. 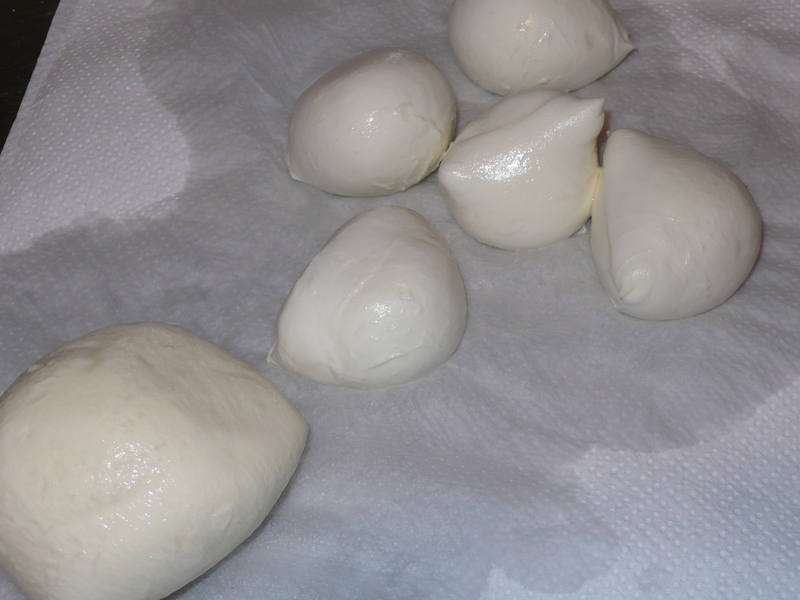 When you have finished, the dough should not stick to the board; it should be smooth, silken, slightly damp on the surface, and very elastic. Dust the dough lightly all over with flour and place in a bowl to rise, covered with a clean dishtowel, for about 1 hour, or until it has slightly more than doubled in bulk. ~ by italicious on October 5, 2010.